You got to give it to the woman—she is really committed to making this album super personal. 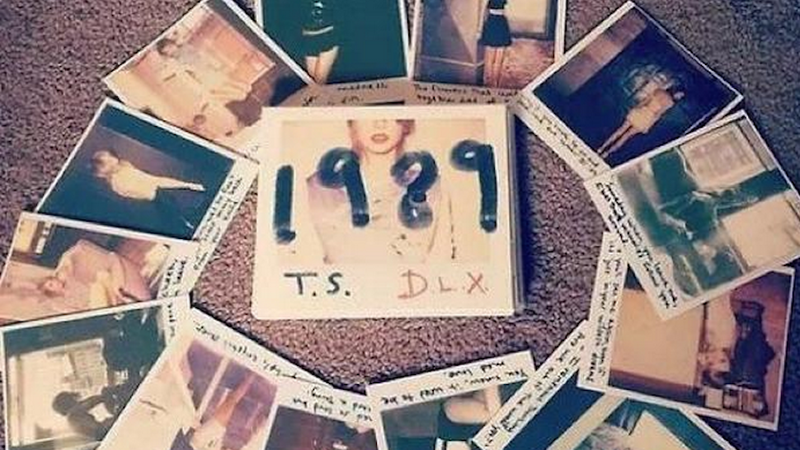 So Taylor Swift is giving out 13 polaroids per album?! Wow. That's. A lot. Good for her and her fans and all, but. Just. Wow. Okay. I know that hand-written does not mean literally hand-written, but let's be real—Taylor Swift would totally take the time to write out a couple lyrics on millions and millions of polaroids, right? Or maybe that's why she kidnapped all those fans—to make them write out all those lyrics? I sure as hell hope for the next album, instead of handing out polaroids, she instead gives out a set of handkerchiefs with lyrics embroidered into them, with a little paw print from Olivia Benson in the corner. Oh, and RIP the wallets of all the parents whose children will make them go buy five copies of 1989 so they can have all 65 polaroids.